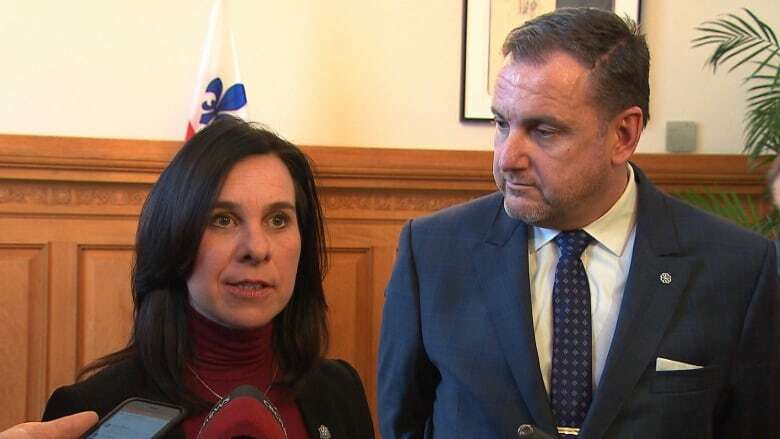 After a week of criticism over its handling of snow and ice removal, Montreal Mayor Valérie Plante and her administration say they plan on doing better. After a week of criticism over its handling of snow and ice removal, the Plante administration at Montreal city hall says it plans on doing better. At a news conference Wednesday afternoon, city officials said they've come up with measures to improve how snow and ice are cleared from city streets and sidewalks. "Since we were elected on Nov. 5, we successfully got through four winter storms. For the last one, we received comments, so we wanted to share with everyone what we're working on in the coming weeks," said Montreal Mayor Valérie Plante Wednesday. Criticism was swift in the last week after the city said it would forego snow removal operations after the last snowfall and let the warmer temperatures melt the snow instead. But the melting snow froze into rock-hard ice with colder overnight temperatures, turning sidewalks into skating rinks and streets into obstacle courses. Urgences-Santé got four times the number of calls it normally receives for sprains and fractures due to falls. The city later apologized and ordered a belated snow removal operation late Sunday. Jean-Francois Parenteau, Montreal's executive committee member responsible for snow removal, said in no way did he want to put people's safety at risk by waiting for warmer weather to soften the snow. "In no circumstance was it ever a question of saving money," he said. "We would never put the safety of citizens on the line." However, Parenteau said the city is dealing with three snow dumps that are also at capacity. He explained that's why the city was hoping a melt would reduce the amount of snow that needed to be carted away. "It's a critical situation for the snow dump presently in the west of Montreal. Specifically for Lachine and the Southwest, it's completely full." The city is looking into using the Hippodrome site in Côte-des-Neiges—Notre-Dame-de-Grâce as a temporary snow dumping site. Holding individual meetings with each borough mayor to discuss what could be improved. Taking a more proactive approach in times of rapidly changing temperatures. Creating a round table with snow removal experts to discuss best practices. Boroughs will also have the option to purchase an "ice-crusher," a rotating ice-breaker that attaches to the existing sidewalk-clearing vehicles. Almost like a meat tenderizer on wheels, the city says it has tested the machine in the Ville-Marie borough for the last two years and recommends that boroughs purchase them. City officials could not say how much they cost but said it wouldn't be a big expense for boroughs.